It's only natural to start to get excited in the days leading up to your Bar or Bat Mizvah. After so many years of Hebrew School, you deserve a little attention for your accomplishments, and here's an understated and solemn way to get that recognition: send everyone on your guest list the Bar Mitzvah Straw Invitation. 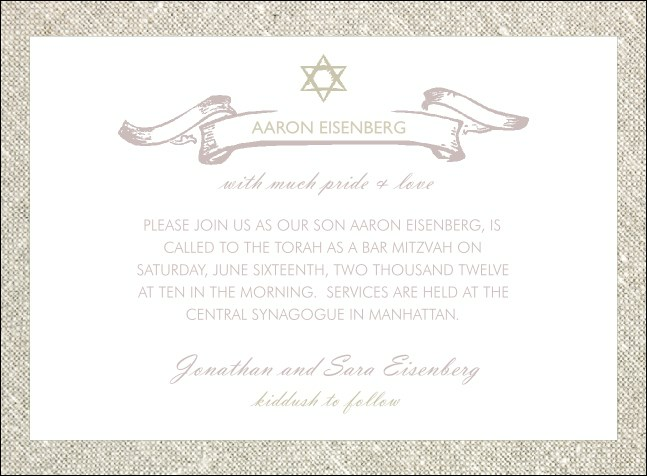 TicketPrinting.com can help your celebrate all your simchas!